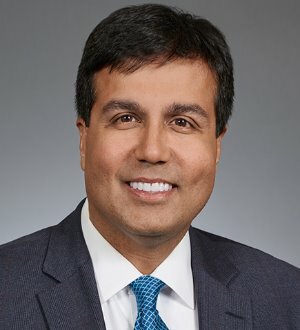 Ameek Ashok Ponda is director of Sullivan & Worcester's Tax Department and a former member of the firm's Management Committee. He concentrates his practice in structuring corporate mergers and acquisitions, designing REIT transactions and financial instruments and working on cross-border financings and acquisitions. He has represented public and private REITs in an array of real property sectors, including: business storage facilities; cold storage facilities; communications towers; data centers; dark and lit fiber; digital billboards; distributed antenna systems; foreign real estate; hotels and travel centers; industrial properties; mortgage REITs; multifamily residential; office buildings; retail properties; senior living facilities; solar, wind and power infrastructure; timberlands; transmission and distribution lines; and vineyards, greenhouses and other agricultural properties. Mr. Ponda is nationally recognized for his work in REIT conversions and REIT cross-border matters.